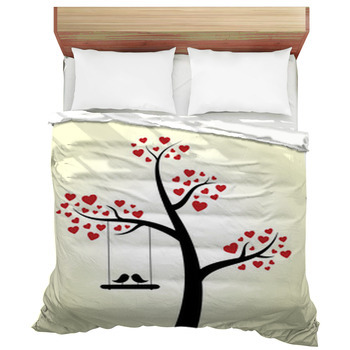 Create that lasting romantic touch with our love bedding designs from VisionBedding. 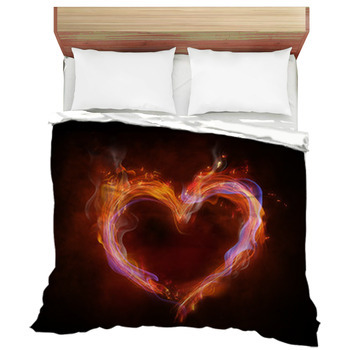 Love was made to last and a romance themed bedroom with a unique love themed comforter or duvet cover can help keep the sparks flying. 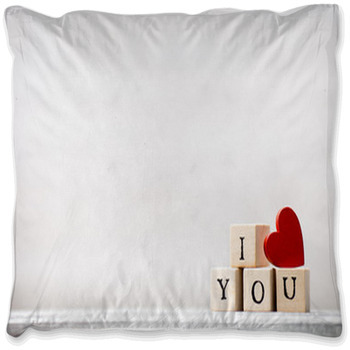 Custom bedding brings home that one of a kind feeling of deep thought and remembrance for the one you care most about bringing love to life. 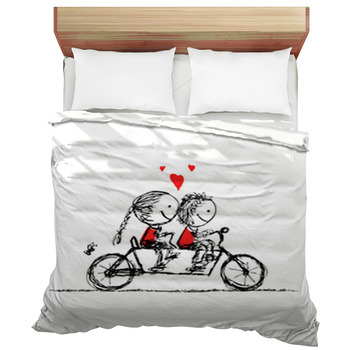 A bedroom designed around lasting romance has at its centerpiece a love bedding design. 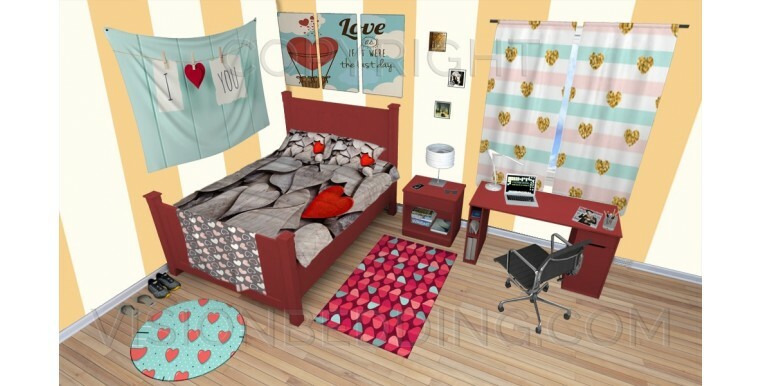 Pick a love bedding design and personalize it to create a truly unique bedroom decor that fits just right. 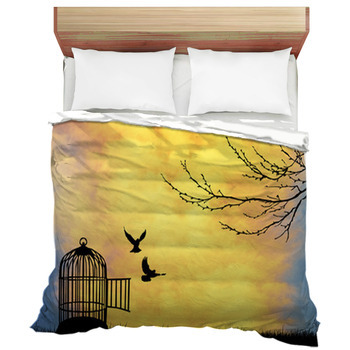 Then be ready to give your bedroom a bedding makeover in just minutes once your one of a kind bedding arrives. 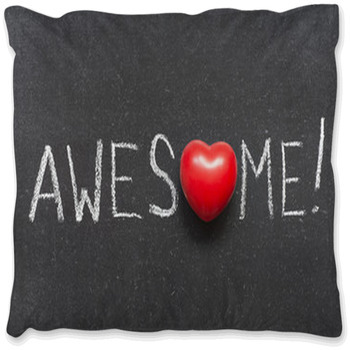 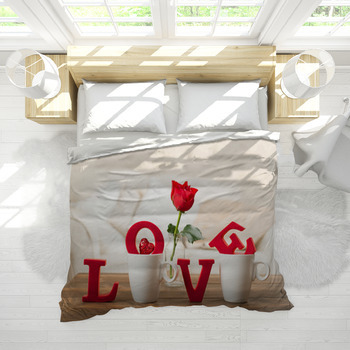 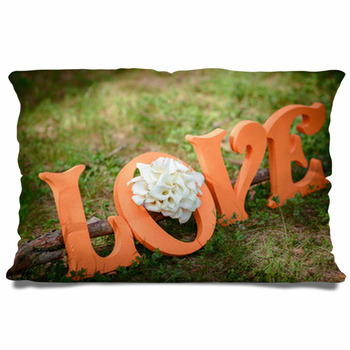 A personalized love bedding design is a unique home decor style that is made to last as it is custom made to suit your specific decor needs. 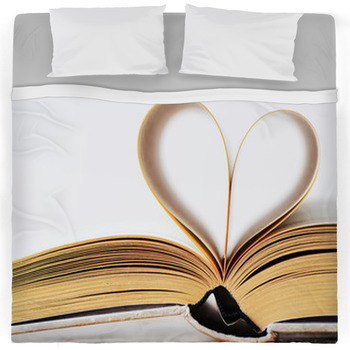 Just as your love is built to last a custom love themed comforter or duvet cover is sure to be an eye pleaser for years to come. 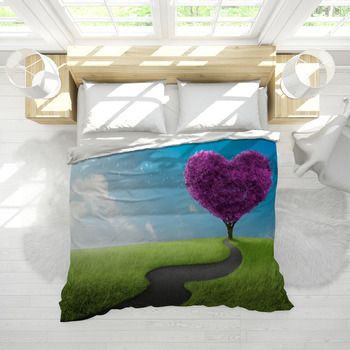 Come and see our one of a kind love bedding designs made just right so you can have that home decor style as unique as you. 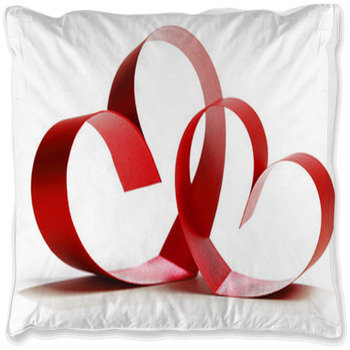 Take your love themed room to the next level with a set a custom size love window curtains as well.